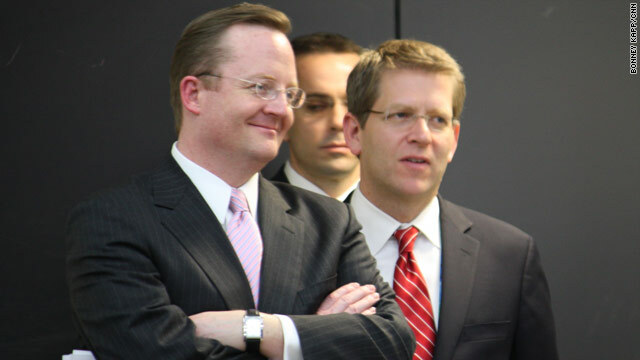 In a tweet to his followers Friday morning, White House Communications Director Dan Pfeiffer said that Jay Carney would take over Robert Gibbs' @PressSec account Monday afternoon. The @PressSec account has been silent since January 28th, when Gibbs tweeted about the violence in Egypt to his more than 150,000 followers. In response to a tweet questioning the month long delay, Pfeiffer assured, "The delay was just a product of the transition period. It is and will be a high priority for the WH."